If you have been around kids much you may marvel as I do, how fast they dish revenge. I’m here to tell you, if you eat food off of my son’s plate, you should run. Yet, seeing my or your four year-old hit someone is much less awkward than seeing an adult do it. But they do. Ingred told me that she had been humiliated at the make-up counter of Sephora. A stranger had called her a bad name. The stranger said it loud enough that other customers and staff heard it too, Ingred was sure. Unfortunately for Ingred, she was soon escorted out of the store by security who didn’t care about Ingred’s story and just wanted to keep the peace. Also, unfortunately for Ingred, she essentially absolved the stranger of what little remorse she may have felt before Ingred retaliated. Ingred essentially dissipated the natural introspection that comes to us after we misbehave, the natural drive to right our wrongs and the self-care that that stranger was due for. Ingred had “paid the price” for both. Ingred made herself the scape goat. Ingred needed to buy into this concept but also that for her, everything starts and ends with Me. Like us, Ingred takes care of her own feelings and behaviors to get friendly with herself. Taking revenge, getting even and responding by acting out we are trying to take care of their feelings and behaviors. That’s not friendly to Me. Inversely, if Ingred, or my four year-old son, had owned their feelings as their own, been accountable to their shames and angry selves and adapted to this stressor, they would have … Well you tell us. Questions: What has happened to you in these situations? And how do you take care of your own emotions and behaviors, and account for them even when you perceive that you are provoked. Please tell me your story. Self-Care tip – Revenge isn’t friendly to Me, but being accountable to why we want revenge is, so try it out. This entry was posted in Coping skills, Personlization, self care, Shame and tagged anger, Family, Mental Health, Parenting, revenge, self care, Sephora, victim. Bookmark the permalink. 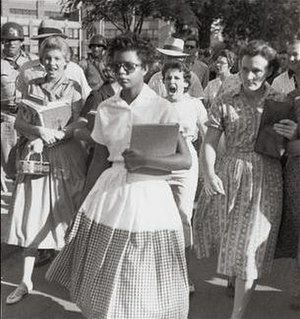 That’s Elizabeth Eckford 9/4/57 entering Central High in Little Rock. Perhaps the bravest young woman in American history. you caught it again. u got those flowers in the other post and this one too. u hv a well-dispersed mind-travel hx :). i do admire her too. Almost every time I’ve lashed out in retaliation I’ve regretted it. Most times it’s better (for me anyway) to swallow the pain and walk away. Not reacting takes practice, but becomes a way of life…and it is much better than the turmoil of conflict. grt points suzi. -better for me, takes practice, way of life and just plain better. awesome. thank u. As I learned growing up, and as I tell my nephews, the one that retaliates is usually the one that gets caught, not the one who started it. Terribly unfair. When I lash out it’s usually not very loud but it is very venomous and it’s meant to inflict pain and leave the person speechless and stunned-kind of like operation “Shock and Awe.” When this happens I know before I do it that I’m about to become an absolutely ruthless a**. It’s a rare occasion and it’s a response to when I’ve been pushed WAY beyond handling situation(s) and/or persons with grace. This used to be my initial reaction. Over the years I’ve matured and learned that this isn’t the most friendly behavior to myself, or others for that matter. A lot of times others don’t even realize they’ve done anything to cause you pain. In some situations I may choose to gently express that I didn’t appreciate the comment or action, while in others it’s better to just let it go. As SuziCate said, not reacting takes practice and can become a way of life. And it’s definitely better than constant turmoil and conflict. grt comment kaily. thanks. such flow to it, thoughts rolled out and came across so clearly. i luv your way of telling your opinions as if opinions were a story to tell. speak on. My favorite saying is “Let’s agree to disagree”. It’s my way of not giving in, and taking away their revenge. 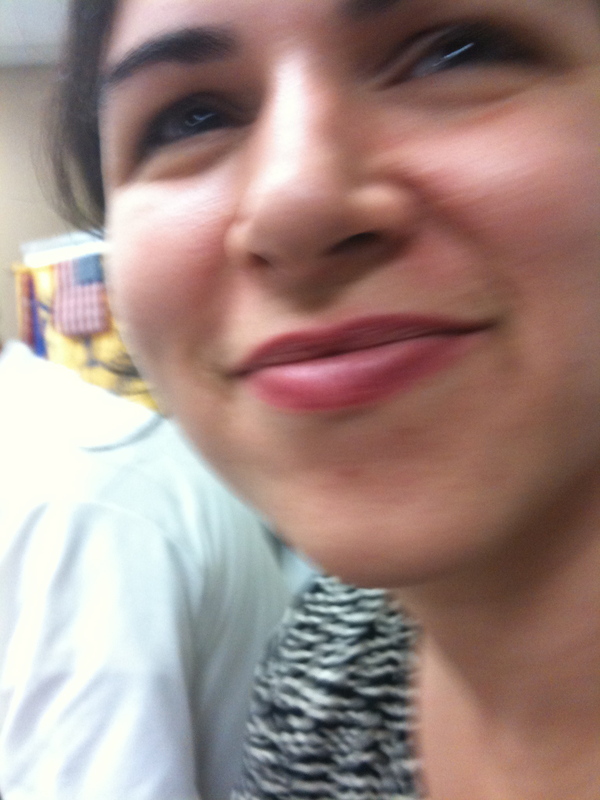 Marie. a way of retaining your sense of self and not robbing them of theirs – brilliant. thank u so much marie. what a woman u r.